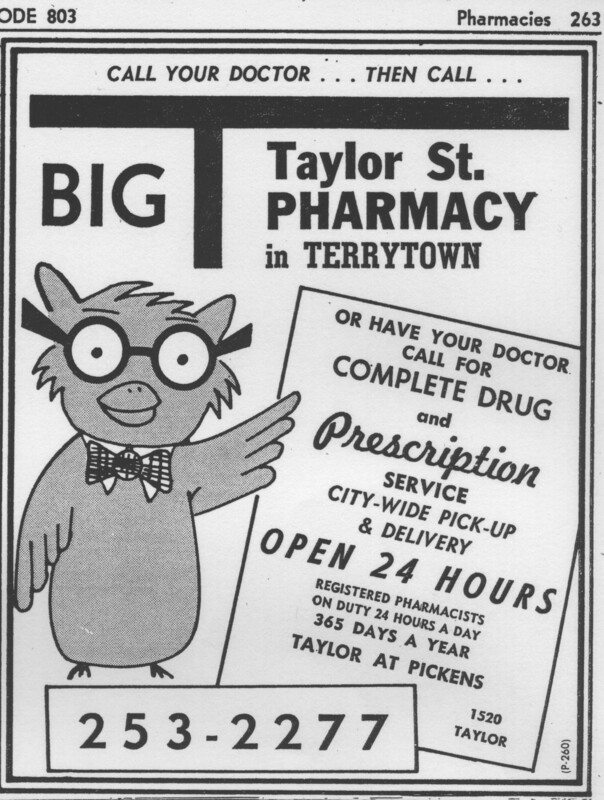 For most of my life, "The Big T" as Taylor Street Pharmacy was known was the only 24-hour drugstore in Columbia. That said, it was far from the closest drugstore to my home, and a 24-hour drugstore is something you (hopefully) don't need that often, so I was probably only there a dozen or so times over the years. 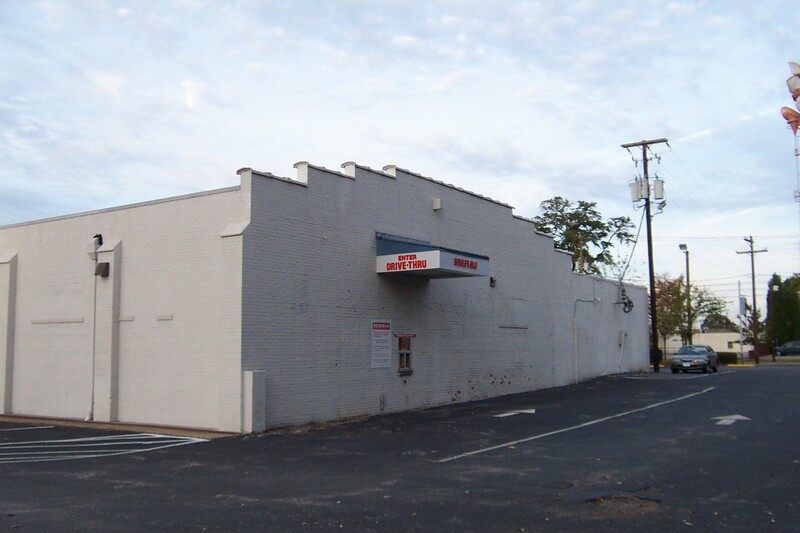 The store, which was on Taylot Street above The Township and below Baptist Hospital, was unaffiliated with any chain (not unusual at the time), and I recall it as having rather a hodge-podge assortment of merchandise aside from the perscription department. I think one of the times I went when I was a kid, it impressed me as Lachicotte's at Pawleys Island set down in Columbia (though without the floats and fishing tackle). I do recall that they had a spinner rack of paperbacks, something I would always check in any store we visited, and some toys. I can't recall if they had a soda/short-order counter, but I would suspect that they did given the size of the store and that it was a standard drugstore fixture back in the day. "The Big T" monicker was not just a common nickname for the place -- it was embraced by the store and used in their advertising, to effect, I think, since even people who didn't go there felt friendly towards the store. 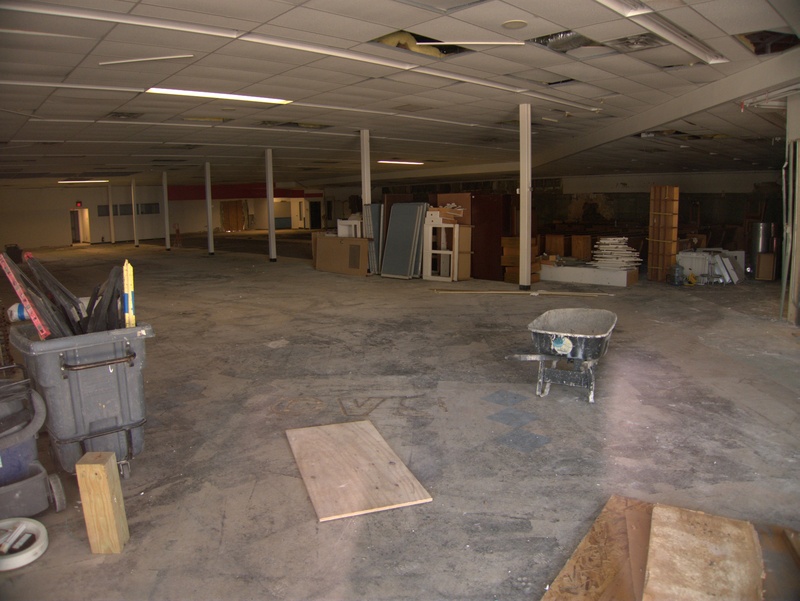 In the end life became more difficult for unaffiliated drugstores, and most of that era (Campbell's, Cedar Terrace, Parkland Pharmacy..) are now gone. With the decline of downtown, the Taylor Street location became something of an obstacle as well, and the store finally sold out to CVS, who continue to operate it today, under a much reduced schedule (it apparently is not open on Sunday at all much less 24/7). It appears to me that apart from a revamp of the corner entrance to add CVS branded architecture, the main building is pretty much intact, at least from the outside. UPDATE 14 March 2009: Added 1963 Yellow Pages ad. UPDATE 31 March 2009: Added 1970 Yellow Pages ad. 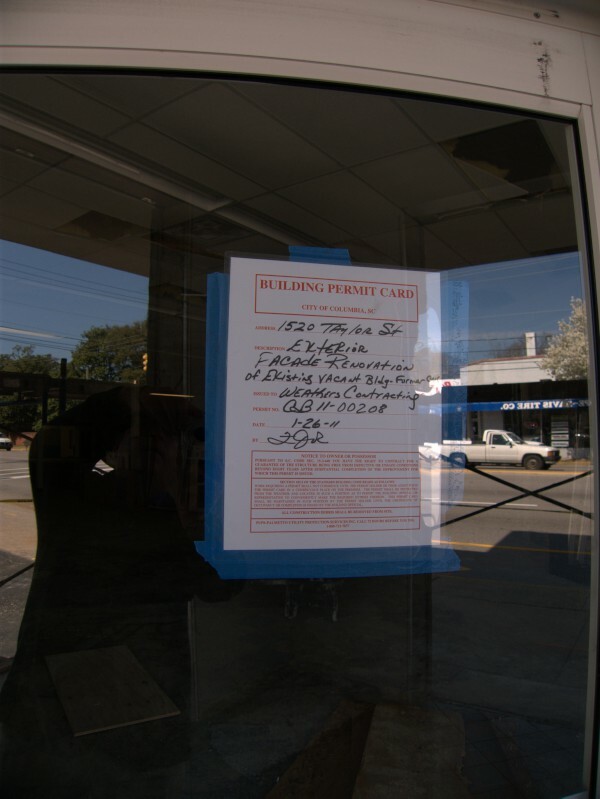 Subscribe to comments with RSS or TrackBack to '"The Big T" (Taylor Street Pharmacy), 1520 Taylor Street: 1994'. There also used to be a garden center behind the store and across the street there they owned an appliance and furniture store. 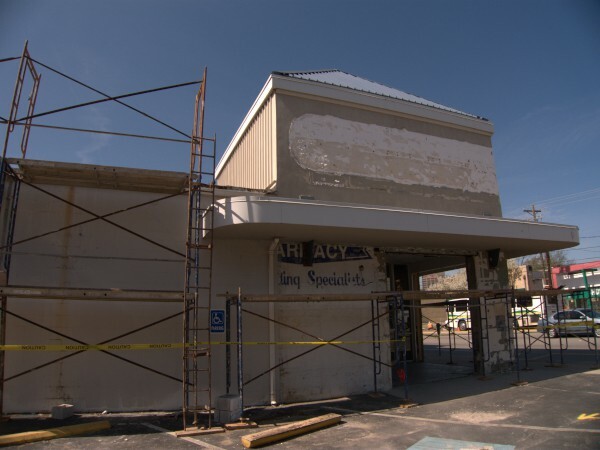 John Terry, the owner, called the area "Terrytown." he also worked with Bobob Fulton on USC basketball broadcasts during the McGuire era. 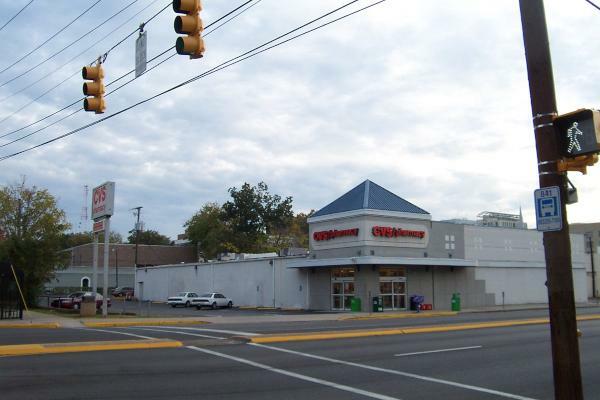 When Terry sold the place to CVS, he made a condition that the retained all his employees. As of a few years ago, a couple of them were still there. I remember very late one night while pulling an all-nighter at USC we went to get something, and while in the store we were convulsed with laughter because they sold chain saws. My friend kept holding one up saying "Look! You can buy a chain saw at 3 in the morning!" FYI they did have a large and busy lunch counter, but the food was nothing to rave about. Taylor Street Pharmacy used to be the place to pick up your event tickets for just about anything, didn't it? 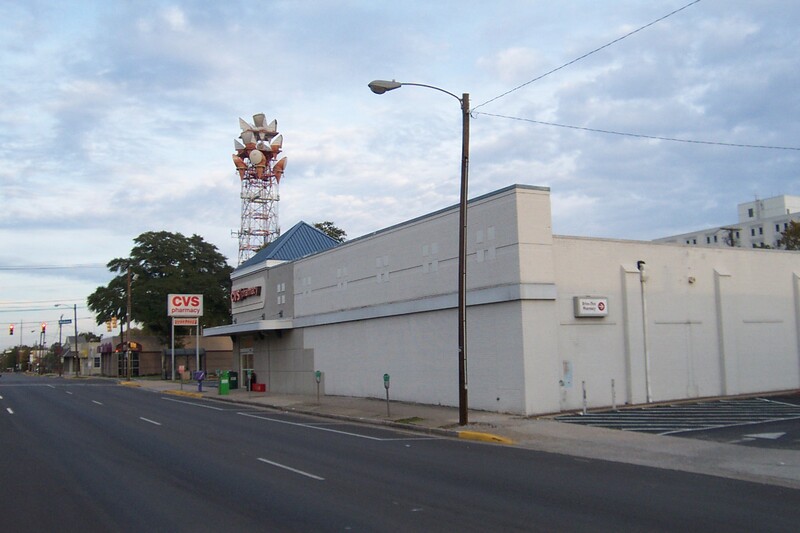 The thing I remember about Taylor Street Pharmacy was that it was a prime location to get concert tickets, and even though the store was open 24 hrs a day, the ticket counter was not, so you'd often find an assorted group of folks waiting for the ticket counter to open. You would often be able to get much better seats by going to them than anywhere else. Of course this was long before you could buy tickets on the phone, much less the internet - and that meant that a kid with a hundred bucks could actually buy 5 front row tickets to a concert. didn't they have a krispy kreme in there? There was a Kripy Kreme next door in an old building. There used to also be one on North Main St. I thought the one in that area was on the other side of Taylor? We used to pick up hot doughnuts there on our way to the train station to pick up my aunt from Florida. I think it's a real shame we only have one KK now, and that they ruined it when they remodeled. You can still see the Krispy-Kreme-green tiles on the front of the building abpout two doors down from the CVS on the same side of Taylor St.
Taylor Street Pharmacy was definetly the place to go for concert tickets. In the mid/late 1980s, we'd drive from Charleston and stand all night in TSP. I got floor seats for KISS, REM, Billy Idol, INXS, David Lee Roth and Poison from TSP. In the summer of '62, I lived with a group of other USC guys in an upstairs apartment in a large house at the corner of Bull and Blanding. 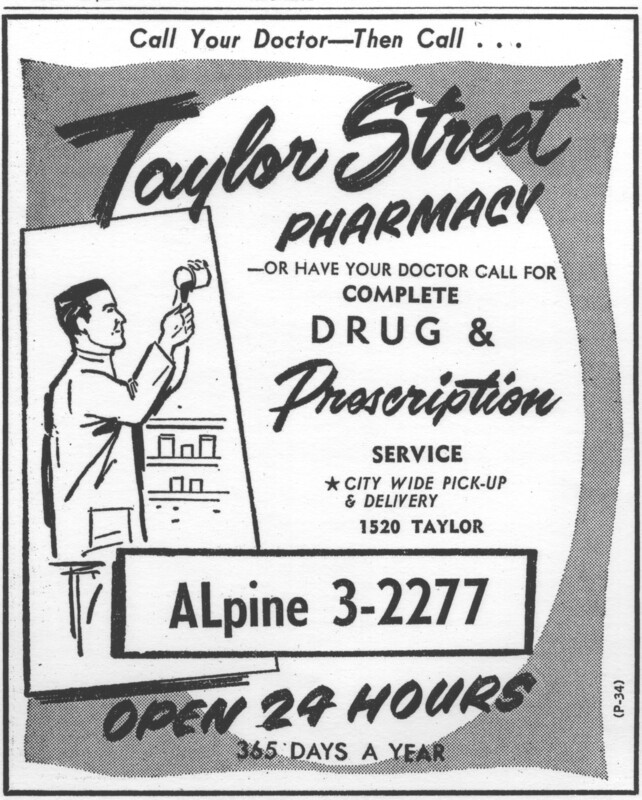 We were fixtures at Taylor Street Pharmacy, which was just down the street. If you couldn't find what you needed there, you couldn't find it anywhere. Taylor Street Pharmacy was also known as "Terrytown" for its owner, Bill Terry (I think that was his name). Used to know the pharmacist's name because my dad often stopped there just to visit--which is what lots of folks did in the 50s and 60s. It was like the old country store in a way. As one post said, full of a odd assortment of sundries. When I was a teenager, I stood in line many afternoons for tickets to the Township (across the street) and before the Coliseum was even opened. I even bought tickets to see the Beatles in Jacksonville, FL at Terrytown! Whoo hoo! Was this the building with the large mural of women's faces in various colors painted on the side? @ A- yes it was. It seems that this building is being converted to a medical office building. 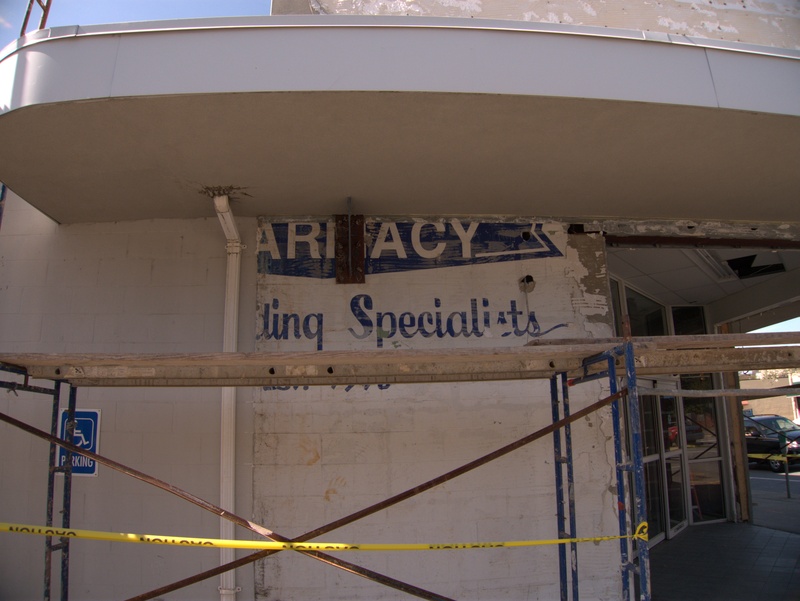 I passed by it this morning, and where they have take off part of the facade, you can see some of the original painted letters of the Taylor Street Pharmacy. We could just wait 17983 years .. or I could fix it. They advertised "We never close!" They meant it. At 3:00 am on December 25th, the aisles were filled with zombie-like guys -- the TRUE procrastinators -- frantically searching for just the right Christmas present to delight their lady a mere few hours later. Yeah, it had a pharmacy. And motor oil, cheap tools, housewares. Everything. Sort of a combination of a drug store and an old time general store. Best of all, when you left the drugstore, you could stagger next door and get hot Krispy Kremes fresh off the line.